For better or worse, the story of bitcoin in Brazil begins with Leandro César Marciano. An IT consultant from Belo Horizonte, Marciano founded and later sold the country’s largest bitcoin exchange Mercado Bitcoin following an alleged security breach, and launched Bitcoin Rain, an investment scheme suspended by the government and later likened to the infamous US ponzi scheme, Bitcoin Savings & Trust. Informal estimates suggest the ventures resulted in the loss of 4,000 BTC in consumer funds. Harder to calculate is the effect that Marciano’s services had on early tech adopters who, unlike their peers internationally, may not have been able to enjoy bitcoin’s meteoric rise in value to more than $1,000 at the end of 2013. The idea that the events have hindered bitcoin adoption in Latin America’s largest market lingers, and is just one theory as to why Brazil, despite being the regional leader in bitcoin users by some metrics, hasn’t been as visible or as vocal as Argentina. Members of Brazil’s bitcoin community told CoinDesk that, while past issues have contributed to the current weak market, more important hurdles remain. 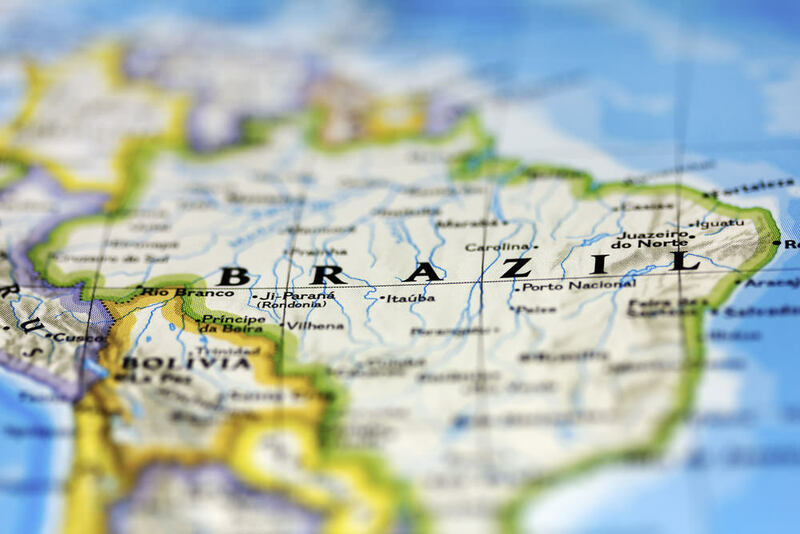 A lingering regulatory uncertainty, a relative lack of merchant adoption and the limited availability of Portuguese-language bitcoin resources, they said, are all reasons why Brazil’s market has yet to ignite. Local entrepreneurs like Andre Horta, CEO of bitcoin and litecoin exchange BitcoinToYou, are unsurprisingly eager to put the shadow of Marciano and Bitcoin Rain behind them as they look to alter this narrative and tackle more pressing issues. “I prefer not to talk about this, because I prefer to look to the future,” Horta told CoinDesk. 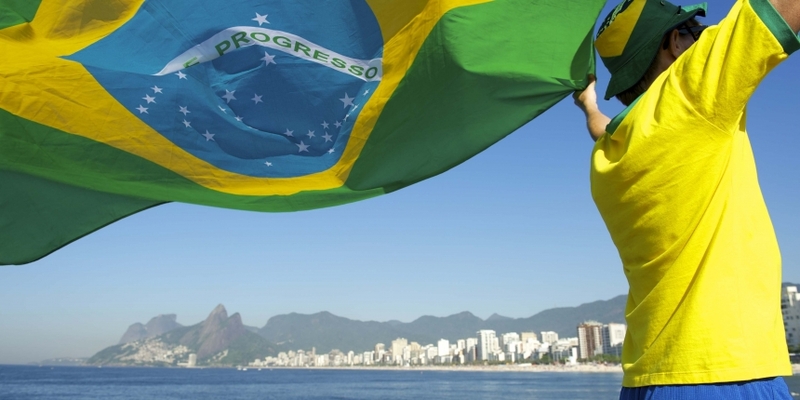 While Argentina has seen a host of bitcoin startups and organisations that have received international investor and media attention, Brazil arguably hasn’t risen to prominence within the bitcoin community. This is despite that fact that publically available data on Bitcoin-QT wallet downloads suggests Brazil may have twice as many bitcoin users as Argentina and the most in South America. Rafael Olaio, co-founder of Brazil-based Ripple gateway provider Rippex, told CoinDesk he believes adoption figures are high due to this international hype surrounding bitcoin as an investment opportunity and technology, but that to date, entrepreneurs have done little to translate this initial interest into a dedicated user base. “There has been a lack of innovation and everyday use cases for bitcoin to make an impact on local lives,” Olaio said. Further, domestic news interest in bitcoin remains focused largely on international markets, suggesting awareness of domestic products and services is low. Época NEGÓCIOS editor Pedro Carvalho indicated he has hardly covered any bitcoin stories for his business publication, outside from a failed attempt to interview Marciano, while major tech publications focus on larger, international announcements. BitInvest CEO Flavio Pripas, whose company operates a bitcoin exchange and newly launched merchant processing service, believes that the country’s business environment has impeded the ability to startups to capitalize on interest in digital currency. Yet another reason bitcoin has generated less interest in Brazil is that the country’s native currency, the real, has proven to be more reliable than the government-backed options available in its neighboring states. Olaio suggested that bitcoin is far more useful as a store of value in countries like Argentina and Venezuela, where consumers are able to use bitcoin as a hedge against inflation. However, he believes that there are powerful and unique use cases for digital currency that can appeal to the local market, and that attacking foreign exchange controls is the most prudent first step for the domestic market. “Bitcoin can provide a way for consumers to invest money in new ways because it releases some of the controls applied on fiat currencies and precious metals by putting something very convertible and mobile in your hand, that can be traded for other assets or arbitraged,” Olaio explained. Olaio believes arbitrage, the act of buying bitcoin at a lower price on one exchange then selling it at more favorable prices, has so far been the main driver of the domestic market. “I believe the market right now has been driven by arbitrage and traders, and they are profiting from buying abroad and selling here,” he said. Olaio noted that while the price of bitcoin on Bistamp may be $400, the price on a local Brazilian exchange could be $50 higher due to forex costs. New Mercado Bitcoin CEO Rodrigo Batista has already seen success with this customer base. After purchasing Mercado Bitcoin in 2013 from Marciano, the order book exchange has remained the largest in Brazil by volume despite increasing competition and the early negative perception of his company. Batista told CoinDesk that he first took an interest to bitcoin as an arbitrage trader, and that Mercado Bitcoin provides consumers with an attractive way to play the markets. Long term, Batista said, the market will shift as bitcoin and its related technologies become more widely used in remittances, which he suggested would drive greater mainstream adoption. Another reason cited for Brazil’s somewhat stagnant bitcoin market is the relative lack of high-profile merchants who are accepting bitcoin, although just last week, homebuilding firm Tecnisa became the country’s largest business to accept bitcoin through a partnership with BitInvest, with revenues of R$1.8bn in 2013 (roughly $720,000). However, for more mainstream merchants to begin to adopt bitcoin, local market observers indicated there must first be quality solutions for the market. Batista, for example, cited the relative weakness of existing local solutions, though he suggested the lack of payment processors isn’t the fault of entrepreneurs. He went on to cite the fundraising power of BitPay and Coinbase as evidence of the needs of this business sector. Pripas agreed, though his company is intent on making progress toward addressing this market need, and that there is interest from the country’s merchant base. As in most countries, regulation is still cited as a major roadblock for the local market. To date, Banco Central do Brasil has issued a warning to consumers, while Receita Federal (RF), the country’s tax authority, has ruled that bitcoin sales are subject to capital gains. However, for local bitcoin startups, communication has been in short supply. BitInvest reported it has reached out to Banco Central do Brasil, RF and Comissão de Valores Mobiliários, the country’s securities regulator, and that it intends to make its services available to regulators. Further, BitInvest said it plans to work together with the Brazilian Bitcoin Foundation to promote dialogue. Marcelo Godke Viega, a partner at law firm Godke, Silva & Rocha told CoinDesk that such conversations are needed. Bitcoin, he said, is currently considered an asset under federal law, but the country’s foreign exchange rules are cause for concern, as they may prevent bitcoin from being used in what may be its most compelling domestic use case. Viega, who provides legal services to bitcoin clients, argues that this in turn could hold back local businesses and overall adoption. Perhaps more troubling, he said the country’s regulators may not provide clarity to these issues for some time. Leandro César Marciano declined to contribute to this report.